We came back fro President’s Day long weekend to find crude up over $2.00. Our stock market on the other hand, finished unchanged on another less than avg. volume. 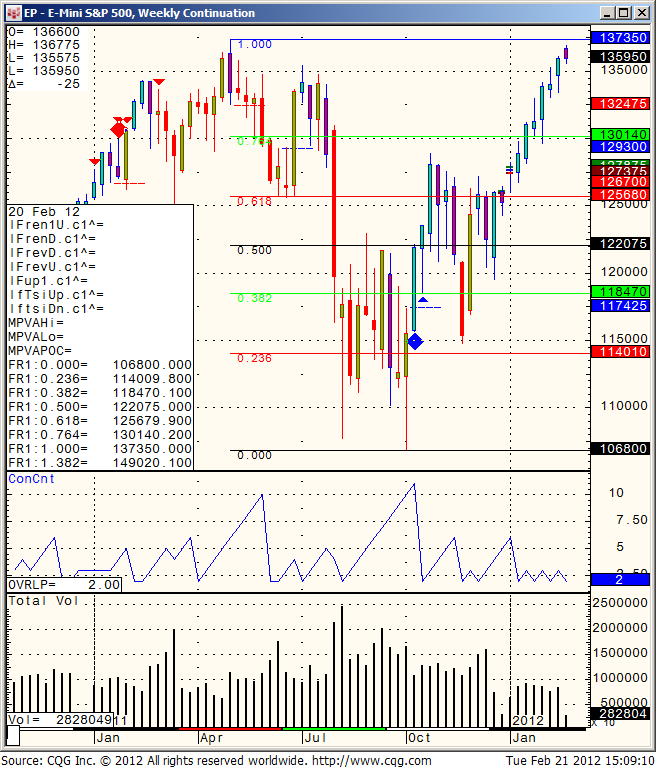 WEEKLY chart of mini SP 500 for your review below. We are trading against the high from last May and it will be interesting to see what type of price action and volume we will see here.